Chlamydophilial infections leading to outbreaks of avian chlamydophilosis in domestic as well as companion birds have been reported worldwide, which reflects in economic loss to the owner and potential zoonotic transmission to humans. Study on the occurrence and prevalence ofChlamydophila psittaci in birds at live bird markets in Kaduna metropolis, Nigeria was carried out using Immuno Comb enzyme linked immunosorbent assay (IC ELISA) and modified Gimenez staining technique (mGS). Sera from 64 local chickens, 43 ducks, 64 pigeons, 64 broilers, 64 exotic layers, 48 turkeys and 64 guinea fowls were examined. Using the IC ELISA, 41.46% (85) and 34.95% (72) from thebirds sampled from Central and Waff Road markets tested positive for C. psittaci, with an overall seroprevalence of 38.00%. There was no significant difference (P>0.05) in the prevalence of the infection from birdssampled in Central and Waff Road markets. Among various types of birds examined, the highest seroprevalence was recorded in pigeons 67.19% (43), duck 51.16% (22) and guinea fowl 46.88% (30) while the least seroprevalencewere recorded in exotic layers 18.75% (12) and broilers 15.63% (10). Nevertheless, there was significant difference (P<0.05) in prevalence of the infection among the various types of birds examined. The prevalence of the infection by mGS showed 4.10% (9) and 3.40% (7) from Central and Waff Road markets, with the highest prevalence in local chickens 6.25% (4) and 0.0% (0) in turkey. Statistical analysis by Kappa statistics indicate a slight agreement between the two tests. The results of this study confirmed our suspicion about the presence of C. psittaci in birds at live bird markets in Kaduna metropolis. Thus, routine screening of birds in abattoirs, quarantine stations, farms and enlightenment of the general public on avian chlamydophilosis control should be advocated. Chlamydophila psittaci is an obligate, intra­cellular zoonotic bacterium, found in a wide range of birds, including companion, domestic and wild birds worldwide (Harkinezhad et al., 2009). It is the causative agent of psittacosis, also known as orni­thosis, parrot fever, or avian chlamydophilosis (AC) (Van Droogenbroeck et al., 2009).Several serovars of C. psittaci have been identified, using monoclonal anti­bodies, these correspond to 7 genotypes, seven of which (A-F, and E/B) are endemic to domestic poultry and other birds and can be transmitted to humans causing psittacosis or parrot fever (Geens et al., 2005).Earliest descriptions of epidemics of this disease in late nineteenth century Europe, incriminated imported Argentinean parrots as the vector of this malady.However,parrots may have been unduly maligned, as most cases of Avian chlamydophilosis (AC) may well be unconnected with parrots (Meyer, 1965), but also associated with wild birds and poultry species such as pigeons, ducks, geese, turkeys as well as domestic fowls (Vanrompayet al., 2008). The importance of poultry as a source of human infection became more evident following outbreaks in humans in the 1950s, due to contact with infected turkeys (Meyer, 1965).This refutes the early belief that C. psittaci infections only occur in psittacine birds.Among poultry; turkeys, ducks and pigeons are most often affected while infection of chickens are infrequent (Rawdonet al., 2010). In pigeons, infection is very wide spread especially as a carrier state without clinical symptoms (Pavlack et al., 2000). Avian chlamydophilosis is an occupational hazard with commercial pet birds’ handlers, hobbyists, veterinarians as well as poultry workers exposed to the greatest risk (Fengaet al., 2007). Outbreaks commonly associated with ducks and turkeys farms and abattoirs have been described (Bennedsen and Filskov, 2000). Transmission to humans is common during handling and slaughter of birds (Dickx et al., 2010). Recent studies have indicated that the disease has been on the increase in several parts of the world (Yang et al., 2007). Avian chlamydophilosis can be economically devastating to producers/farmers and a serious public health problem. It has the potential to cause severe human disease or even death and produces avian respiratory infections which pose a serious threat to industrial poultry production, causing significant economic losses in the US, Europe and China (Laroucau et al., 2009). Poultry production is a major economic activity in Kaduna State and Nigeria as a country. It contributes significantly to the family income especially in peri-urban and poor rural communities (Sonaiya et al., 2000). It provides the affordable source of protein needed to meet the recommended 0.8g/kg daily protein intake in the country (Shane and Neil, 2006). There is also intense co-habitation of birds with human both in the cities and in rural areas,where many Nigerians live in close contact with poultry and poultry products on farms, live bird markets, poultry slaughter houses and processing plants, homes, shops, restaurants and during transportation of poultry to markets and other locations with little or no regard for adequate biosecurity (Abdu, 2010). With paucity of information in the veterinary as well as human health services on the epidemiology and public health significance of this disease in Nigeria, there is a need to carry out such a study.The aim of this study is to investigate the presence of C. psittaci in poultry at live bird markets in Kaduna metropolis using serology and histochemical staining techniques. The research was conducted in Kaduna State, Nigeria, which is located within the semi-arid sub humid regions of North Central Zone of Nigeria. It lays between longitudes E006.5o – E008.6o (East of Greenwich Meridian) and latitude N09.2o – N11.3o (North of the equator) (FRN, 2009). Two live birds markets (Central and Waff Road markets) were randomly selected, and a total of 411 blood samples were collected from birds at slaughter. This was comprised of 205 birds [32 broilers, 32 exotic layers, 32 local chickens, 32 pigeons 32 guinea fowls, 25 turkeys, and 20 ducks] from central market and 206 (32 broilers, 32 exotic layers, 32 local chickens, 32 pigeons 32 guinea fowls 23, turkeys and 23 ducks) from Waff-Road. The sampling was done over a period of 8 weeks (February to May, 2015), with one visit to each market per week. Sampling was conducted by consent based on pre-sensitization conducted in each market prior to sampling. For the histochemical staining, tissue samples consisting of liver and spleens were aseptically harvested from the same birds sampled above identified by tagging with multiple different colour threads at slaughter. For the serological analysis, apparently healthy birds were selected at slaughter and about 2ml of blood were collected and transferred into sterile sample tubes. It was then allowed to stand at room temperature before transporting to the laboratory. In the laboratory, sera were separated by centrifuging the whole blood at 1000g for 10 minutes (WOAH, 2008), then the resultant sera were dispensed into well labeled sterile serum bottles and stored at -20℃ (NVSL, 2006). All samples were collected under aseptic conditions to prevent contamination or cross-contamination. Sampling materials (i.e. forceps, polythene bags and scissors) were made sterile by wrapping in aluminium foil and sterilized in hot air oven (160 ℃) for 1 hour before embarking to sampling site. The harvested tissues were transferred into well labeled sterile polythene bags, and transported immediately together with the blood samples to the Bacterial Zoonoses Laboratory of the Department of Veterinary Public Health Preventive Medicine, Ahmadu Bello University Zaria in ice packed boxes for analysis. The ELISA test Kit for Avian C. psittaci(ImmunoComb® (IC), Biogal, Kibbutz Galed, Israel) is based on a rapid competitive enzyme – linked immunosorbent assay technique that detects immunoglobulin G – antibodies (1gG) against C. psittaciin avian species. Serum samples collected during this study were screened for the presence of antibodies to C. psittaci. C. psittaci IgG level was determined by comparing each specimen’s colour to the positive control intensity. A test that yielded colour reaction exceeding that of the negative control was considered positive while that comparable to the negative control were considered negative. The stain kit comprised 10ml ofsolution 1: (450.0 ml distilled H2O and 5.0 ml phenol added to 2.5g basic fuchsin and 50ml of 95% ethanol, incubated at 37°C for 48 hours, filtered and stored in dark at room temperature), 12.5ml of solution 2: (11.65g Sodium phosphate dibasic; 2.47g ; Sodium phosphate monobasic made to 1.0 litre distilled H2O),the staining solution; solution 3: (20.0 ml solution 1 and 25.0 ml of solution 2) let to stand for 10 minutes filtered and used, solution 4;(0.2 g fast green; 100.0 ml distilled water and 0.2 ml glacial acetic acid), and the counterstain; solution 4 (20.0 ml of solution 4 and 50.0 ml distilled water) (OIE, 2012). Touch impression smear of cut surface of liver and spleen were made on a sterile glass slides and fixed in methanol for 4 minutes. The fixed slides were covered with the staining solution (solution3) then washed after 10 minutes at room temperature. It was counterstained with solution 4, for approximately 2 minutes and then rinsed in tap water, air dried and examined under light microscope at 40X magnification (Andersen and Vanrompay, 2003). Data collected at the end of this study were reduced to contingency tables and Statistical Package for Social Science (SPSS), Version 16.0 (SPSS Inc., Chicago, IL, USA) was used to determine Chi-square test. Out of the 205 birds sampled from Central market, 85 (41.46%) were tested positive for C. psittaci while 72 (34.95%) out of the 206 birds sampled from Waff-road market were positive for C. psittaci, with an overall seroprevalence of 38% (Table 1). Although high rate of the infection was recorded in Central market, there was no statistically significant difference (P=0.174) in occurrence of infection between the two locations (Table 1). During the study, 7 different types of birds were sampled. Sera from 64 local chickens, 64 exotic layers, 64 broilers, 48 turkeys 64 guinea fowls 64 pigeons and 43 ducks were examined. Our investigation detected Cp psittaci specific antibodies in; 10 (15.63%) broilers, 43 (67.19%) pigeons, 22 (51.16%) ducks, 30 (46.88%) guinea fowls, 12 (18.75%) exotic layers, 23 (35.94%) local chickens and 17 (35.42%) turkeys respectively. The highest seroprevalence was recorded in pigeon; 67.9%, followed by guinea fowl with seroprevalence of 46.88%, with the least in broiler having 15.63% seroprevalence (table 2). Statistically, there was a significant difference (P=0.0001) in rate of occurrence of infection among various types of birds examined (Table 2). Prevalence of C.psittaci Inclusions in Birds by Modified Gimenez (PVK) Stain. During the study period, liver and spleen were harvested from the same birds sampled for serology at slaughter. C. psittaci inclusion bodies were detected in 16 (3.90%) of the 411 birds examined. Inclusion bodies were detected in 9 (4.40%) of 205 birds examined from central market, and 7 (3.40%) in Waff road, with overall prevalence of 3.90% (Table 3).There was no statistical significance in the prevalence rate of the infection among types of birds examined in the two markets (Table 3). Among the various types of birds examined, mGS detected C. psittaci inclusion bodies in; 1 (1.56%) broiler, 1 (2.33%) duck, 4 (6.25%) pigeons, 3 (4.69%) guinea fowls, 4 (6.25%) local chickens, 3 (4.69%) exotic layers and 0 (0.0%) in turkey. Statistical analysis indicated no statistical significance in occurrence of the infection between the two markets and among types of birds examined (Table 3 and 4). IC ELISA test recorded seroprevalence of 38.20% while prevalence rate detected by mGS was 4.90%. Statistical analysis by Kappa statistics indicated a slight agreement between the two tests. The slight agreement indicated that the two tests may detect the infection at a varying rate, though it is pertinent to mention that the two tests are testing for different pathophysiologic parameters (antibody and inclusion bodies) of the infection which are not always accompanied by one another. In this investigation, the overall seroprevalence of C. psittaci infection in birds examined by IC ELISA test in Central and Waff road markets in Kaduna metropolis was 38.20%. It is lower than the 45.34% reported by Bendheim et al. (1993) in Israel, and higher than that obtained by Maluping and colleagues (2007), in the Philippines where seroprevalence of 25% was obtained from a sample population of 36 birds using the same test methods. Using a different test method; RIDASCREEN ELISA® test in China, Yang et al. (2007) reported a significantly high seroprevalence of 77.8% from a sample population of 150 broilers, 210 ducks and 165 laying hens. In Bosnia and Hezergovinia, Residbegovic et al. (2006) reported a seroprevalence of 27.6% from sample population of 58 intensive breeding chicken, free-living pigeons and parrots using indirect immunoflourescent test. Thus, the seroprevalence of the infection appear to vary from one country to another. These variations in seroprevalence of positive findings, our study inclusive, could be attributed to difference in test assays, sampling protocols and variation in susceptibility of different species of birds to C. psittaci infection, as well as ecological and geographical diversity. The high variability in seroprevalence of the disease, makes accurate estimation of the transmission of the pathogen entirely impossible (Schnebell, 2004). In our investigation by mGS, C. psittaci inclusions were not detected in every bird examined especially in turkey where inclusions were not detected in either liver or spleen of the birds examined. This could be interpreted as; either the infection in these birds is in its localized phase and has not yet gone systemic, or the organs were not infected with the organism. It could also be that the organisms were not present in sufficient numbers to be captured by the stain or the smears were thick. Among the various type of birds examined, it is obviously evident that the highest percentage of seropositivity (46%) was found in pigeons. This result corroborates with those obtained by various workers across the globe. Dovč (1993) in Slovenia reported 66.7% serological positive free-living pigeons and 59.2% in feral pigeons using IIF test. Also using the same test Residbegovic et al. (2006) reported the presence of specific IgG antibodies against C. psittaci in 42.1% of 38 pigeons sera tested. Pavlack et al. (2000), using CF test found 49.2% serologically positive pigeon from city area in Bosnia and Herzegovina. In most of these surveys, complement fixation test was used, while indirect immunofluorescence and enzyme linked immunosorbent assay tests were employed less frequently, but led to detection of higher percentages of seropositivity (Magnnino et al., 2009). It is pertinent to mention here that pigeons are extremely adaptable, which enables them to accept breeding places that are unnatural to them e.g. trees or over running ventilation systems. They are gregarious in nature, gathering in swarms in streets, squares, parks, worship places, markets, milling points etc., and do not commute on risky flights for natural food supply but rather search their immediate environment. The characteristic behavior of these birds aforementioned, facilitate zoonotic transmission of C. psittaci infection to humans. In Nigeria, a lot of people live in close proximity with these birds both in rural and urban communities. It is a common finding especially in the northern part of the country where these birds are commonly kept, to see houses, roof tops littered with excreta from these birds especially in the rural communities. Thus, the finding of higher seroprevalence of C. psittaci antibody in pigeon in the study area is of a significant public health concern judging from the close interaction between pigeons and humans, since zoonotic transmission of the infection especially via aerososlized infected bird’s droppings could easily occur. Based on different locations studied, our investigation showed that central market recorded higher occurrence (41.46%) rate of the infection than Waff road market (34.95%). This could be attributed to the fact that the later; a private owned facility offers a better sanitary condition compare to the former, where stocking capacity of the plant is not strictly observed and hygienic condition compromised. It was also observed that cages that housed birds in the former are overcrowded and closely situated, thus facilitating easy spread of the infection. In this market domestic birds as well as wild birds are housed together in dirty cages littered with bird’s faeces obviously due to space constrains. This environmental stressor could induce increase faecal excretion of the bacterium from infected birds there by contributing to high occurrence of the organism. The detection of C. psittaciin these processing plants especially in central market is of public health significance since employees of these markets most especially evisceration workers and the general public could be at a high risk of contacting the infection. In our study, apparently healthy birds with no evidence of clinical disease suggestive of C. psittaci infection were examined; however, the organism was detected both serologically and histochemically in these birds. This finding is in agreement with the observation of Gaede et al. (2008), which revealed that genetically related non-classified Chlamydophila spp were found in symptomless chickens during an outbreak of clinical psittacosis. Thus it could be deduced from our finding that a balanced co-existence is the most common form of chlamydial infection in the study area. This phenomenon has been observed not only in birds, but also in many other animal species (Schachter, 1995). However, this well-balanced host-parasite relationship could be of public health significance, since alteration of this association by environmental factors or human activities could change the latency status of C. psittaci infected birds, predisposing them to clinical disease and possibly zoonotic transmission of the infection to humans. Thus this finding indicated that clinical status is not a reliable standard for diagnosis of C. psittaci infection in birds. In conclusion, integrated and improved control strategies and measures should be implemented to prevent and control the occurrence of the infection in birds which serve as important source of infection to humans. Table 1 Seroprevalence of C. psittaci specific antibodies in birds at live bird markets in Kaduna Metropolis. Table 2. Seroprevalence of C. psittaci at live bird markets in Kaduna metropolis based on poulry type sampled. We wish to acknowledge the markets officials and laboratory staff during sampling and laboratory analyses for their unfeigned support. Abdu PA (2010). Qualitative risk assessment on the transmission of Highly Pathogenic Avian Influenza (H5N1) virus from backyard and medium-scale commercial farms to household free-range poultry in Nigeria. Pro-poor Highly Pathogenic Avian Influenza Risk Reduction Project, Africa/Indonesia Team Working Paper. International Livestock Research Institute/International Food Policy Research Institute/Royal VeterinaryCollege, Nairobi Kenya. Andersen AA, Vanrompay D (2003). Avian chlamydophilosis (psittacosis, ornithosis), In: Saif YM, Diseases of Poultry, 11th ed., Iowa State Press, Ames, Iowa, pp 863-79. Benheim U, Wodoweski I, Ordonez M,Naveh A (1993). 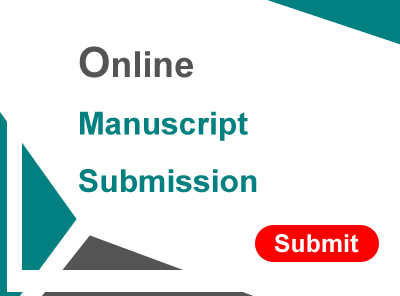 Development of an ELISA-Kit for antibody detection in psittacine birds. 4th German Veterinary Society meeting concerning bird’s diseases Munich, pp 193-201. Bennedsen M, Filskov A (2000). An outbreak of psittacosis among employees at a poultry abattoir. In Proceedings of the 4th Meeting of the European Society for Chlamydia Research, Helsinki, Finland, pp 315. Dickx V, Geens T, Deschuyffeleer T, Tyberghien L, Harkinezhad T, Beeckman DS, Braeckman L, Vanrompay D (2010). Chlamydophila psittaci zoonotic risk assessment in a chicken and turkey slaughterhouse. J. Clin. Microbiol. 48:3244-3250. Dovc A (1993). Introduction of immunoflourescence methods in diagnosis of chlamydiosis (Chlamydia psittaci) and epizootiology in parrots and pigeons Sin SloveniC, Master thesis, Veterinary faculty, Ljubijana. Federal Republic of Nigeria, FRN. (2009a). Population and Housing Census of The Federal Republic of Nigeria. (Abuja: National Population Commission). Fenga C, Cacciola A, Di Nola C, Calimeri S, Lo GD, Pugliese M, NuittaPP, Martino LB (2007). Serologic investigation of the prevalence ofChlamydophila psittaci in occupationally exposed subjects in eastern Sicily. Annals Agric. Environ. Med.14:93-96. Gaede W, Reckling KF, Dresenkamp B, Kenklies S, Schubert E, Noack U, Irmscher HM, Ludwig C, Hotzel H, Sachse K (2008).Chlamydophila psittaci infections in humans during an outbreak of psittacosis from poultry in Germany. Zoonoses and Pub. Health, 55:184-188. Geens T, Desplanques A, Van Loock, M, Bonner BM, Kaleta EF, Magnnino S, Andersen AA, Everett KD, Vanrompay D (2005). Sequencing of the Chlamydophila psittaci ompA gene reveals a new genotype, E/B, and the need for a rapid discriminatory genotyping method. J. Clin. Microbiol. 43: 2456- 2461. Harkinezhad T, Geens T, Vanrompay D (2009). Chlamydophila psittaci infections in birds: A review with emphasis on zoonotic consequences. Vet. Microbiol. 135:68–77. Laroucau K, Vorimore F, Bertin C, Yousef Mohamad K, Thierry S, Hermann W, Maingourd C, Pourcel C, Longbottom D, Magnino S, Sachse K, Vretou E, Rodolakis A (2009). Genotyping of Chlamydophila abortus strains by Multilocus Variable Number Tandem Repeat Analysis.Vet. Microbiol. doi 10.1016/j.vetmic.2009.01.029. National Veterinary Services Laboratories (NVSL), (2006). Procedure for Collection and Submission of Specimens. National Veterinary Services Laboratories, Ames Iowa, United State of America. Source:http://www.aphis.usda.gov/vs/nvsl/shipping/html. Accessed on 29/10/2012. Magnino S, Haag-Wackernagel D, Geingenfeind I, Helmecke S, Dovc A, Prukner-Radovcic E, Residbegovic E, Ilieski V, Laroucau K, Donati M, Martinov S, Kaleta EF (2009). Chlamydial infection in feral pigeons in Europe: Review of data and focus on public health implications. Vet. Microbiol. 135:54-67. Maluping RP, Oronan RB, Toledo SU (2007). Detection of Chlamydophila psittaci antibodies from captive birds at the Ninoy Aquino Parks and Wildlife Nature Center, Quezon City, Philippines. Annals of Agric. Environ. Med. 14:191-193. Meyer KF (1965). Ornithosis. In: Disease of Poultry, 5th ed., Biester, H.E. and Schwarte, L.H.(eds. ), Iowa State University Press, Ames, Iowa, USA, pp 670-675. Pavlak M, Vlahović K, Gregurić J, Župančić Ž, Jerčić J,Božikov J(2000). An epidemiologic study of Chlamydia sp. in feral pigeons (Columba livia domestica). J. Soc. Sci. Hun. 46:84-95. Rawdon T, Haevey H, Potter J, Harvey C, Westera B, Humphrey A, Lush D (2010). Psittacosis the potential for occupational exposure Veterinary—Script, One World, One Health in action, pp 1 – 7. Residbegovic E, Kavazovic A, Satrovic E, Alibegovic-Zecic F, Kese D, Dovc A (2007). Detection of antibodies and isolation of Chlamydophila psittaci in free-living pigeons (Columba livia domestica). In: Niemczuk, K., Sachse, K., Sprague, L. D., (eds). Proceeding of the 5th Annual Workshop of Cost Action 855, Animal Chlamydioses and Zoonotic Implications: National Veterinary Research institute, Pulawy, Poland, pp 81-85. Stamm WE, Taylor-Robinson D, Wang SP, Wyrick PB (2001). Radical changes to chlamydial taxonomy are not necessary just yet (Letter).Intl. J. Sys. Evol. Microbiol. 51:249. Schnebel B (2004). A prevalence study for some bacterial and viral zoonotic pathogens in different songbird species during their stop-over on the Island of Helgoland Sin GermanC, inaugural desertation, Hannover. Shane B, Neil M (2006). A review of issues of dietary protein intake in humans. Intl. J. Sport Nut. Ex. Met. 16:2. Sonaiya EB, Brankaert RDS, Guage EF (2000). The scope and effect of family poultry research development. Food and Agriculture Organization of Animal Production and Health, pp. 1-18. Van Droogenbroeck C, van Risseghem M, Braeckman L,Vanrompay D (2009). Evaluation of bioaerosol sampling techniques for the detection of Chlamydophila psittaci in contaminated air. Vet. Microbiol.135:31–37. Vanrompay D (2008). Update on avian chlamydiosis and its public health significance. Euro. J. Comp. Ani. Prac. 18:267‑273. Yang J, Yang Q, Yang J, He C (2007). Lack of association between Chlamydophila psittaci in China. Bul. Vet. Inst.Pul. 51:347–350. Jatau, G.A., Reuben, C.R., Chukwu, O.O.C. and Bdliya, M. I. (2016).Serological and Histochemical Detection of Chlamydophila psittaci in Poultry at Live Bird Markets in Kaduna Metropolis, Nigeria. 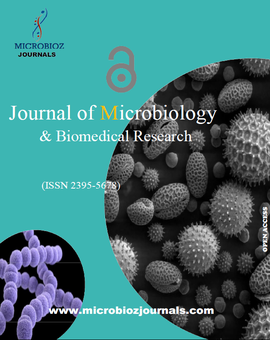 Microbioz Journals, Journal of Microbiology and Biomedical Research, 2(4).